When I heard words like “homemade” and “crafted” I was intrigued. More and more I just can’t stand cookie-cutter restaurants serving bagged salad and processed chicken breasts. Call me a snob, but yuck. When we eat out I want fresh. The new Famous Toastery Carolina Forest made that promise and I set out to see if they could back it up. On my first visit, I was with my mom. We had lunch and I ordered the Turkey Burger, which was on the Specials list. 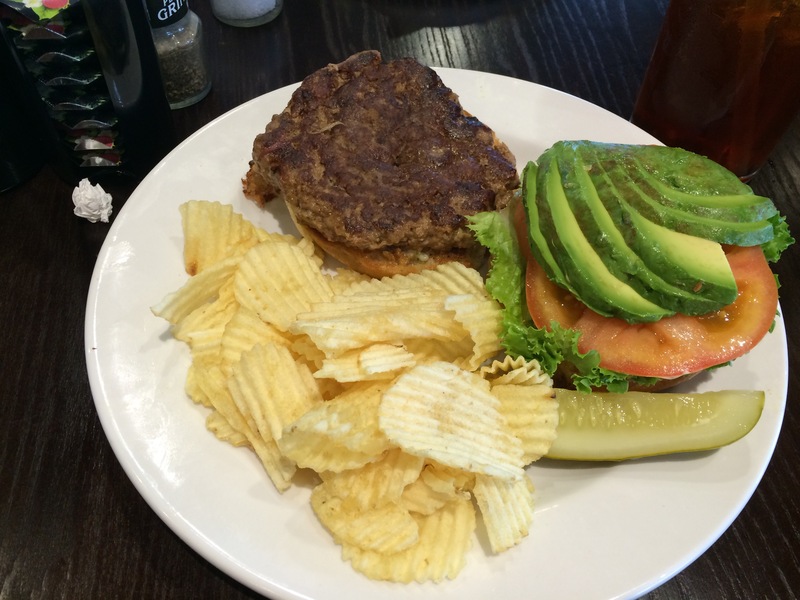 As you can see, it’s fresh, hand-formed, and served with avocado…my favorite! It was delicious! During my second visit I had the Crab Cakes Eggs Benedict, which was also on the Specials menu. Oh. My. Gosh! I’ve had something similar at the Sea Captain’s House in Myrtle Beach and the Toastery’s version was ah-mazing. I’m totally uncompensated for this post yet I’m still going to tell you that I had dreams about that meal for three days after, it was THAT good. When I visited my third time, I was with my mom and brother, who has, what I would call, a simple palette. He prefers basic foods and thought the Toastery looked a little “foo foo.” I’m not sure what the definition of that is, but I’ll bet you have an idea of what he was talking about. His fears were calmed, however, when our server started offering options. “What kind of bread does the bacon, egg, and cheese sandwich come on?” She answered, “Whatever kind you want. We have white, wheat, rye, sourdough, a bun, chibatta bread…” He ended up with the chibatta bread and loved it! For the record, I got the lobster quiche and it was ridiculously good! The crust…oh, the crust. Delicious! On my most recent visit, I got the sausage and cheese quiche, which was almost fantastic. Here are a few more highlights. Fresh squeezed orange juice, service from every server in the place not just “our” server, as much customization as you can handle to your meal, super fresh ingredients, and a fun atmosphere. Famous Toastery Carolina Forest, I can’t quit you. For more information, check out the Famous Toastery Carolina Forest’s Facebook page or website.